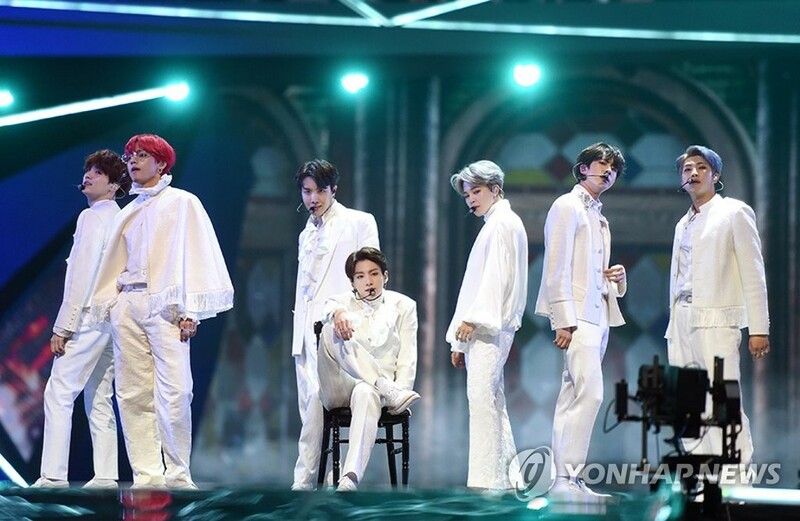 SEOUL, Dec. 20 (Yonhap) — South Korean K-pop band BTS produced the best results of any non-Japanese artist for this year on Japan’s Oricon annual music charts, the music data company said Thursday. BTS’ repackaged album, “Love Yourself: Answer,” which topped the Billboard 200 in August, topped the overseas albums chart. Its Japanese full-length album, “Face Yourself,” released in April, landed in the seventh place on the albums chart, while the seven-member act came sixth on the artist sales chart. Meanwhile, K-pop girl band TWICE ranked eighth on the albums chart, with its first Japanese studio album “BDZ.” Its two single albums, “Wake Me Up” and “Candy Pop,” came in 24th and 25th on the singles ranking, respectively. K-pop duo TVXQ’s “Tomorrow” landed in the 25th place on the albums chart.